According to recent research carried out at the University of California, sugar is fueling a global obesity pandemic. Sugar is far from just “empty calories” that make people fat. Too much sugar changes metabolism, raises blood pressure, affects the action of hormones and can cause damage to the liver. Does your child eat too much sugar? We think kids are sweet enough – so here are some simple ways to reduce your child’s sugar intake! Many products have added sugar – it’s a cheap way for food manufacturers to bulk up their products. Be especially careful with breakfast cereals – for example, coco-pops contain a whopping 36% sugar. Avoid any product that contains more than 10g per 100g of added sugar. Don’t keep sweets, cookies or other sweet treats at home. If they’re not in the house, your children will be far less likely to snack on them. Junk food is bad news for your kids, so take control of your child’s access to junk food. Don’t use sweets as a reward – use stickers, pens, fun activities together, verbal affirmation or cheap toys instead. Don’t get in the habit of buying sweets or chocolate for your kids when you’re at the store. If they really need a snack, try fruit or unsalted nuts. 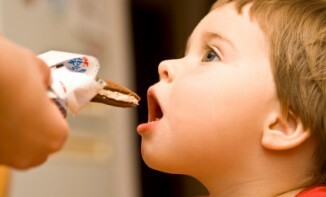 Limit your child’s sweet intake to rare occasions rather than every day. 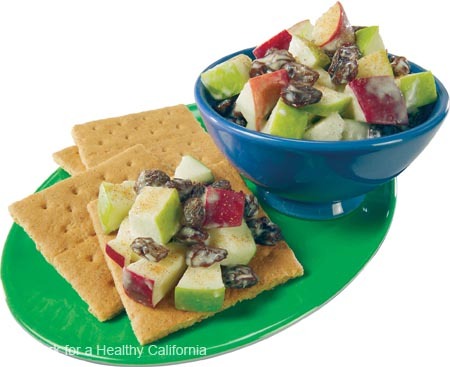 If your child asks for sweets when a snack is more appropriate, say “No” – and stick to it! If you can prevent your child from succumbing to a sweet tooth when what they need is a healthy snack, you’ll be helping them avoid type 2 diabetes, obesity and a range of other illnesses – not to mention tooth decay.